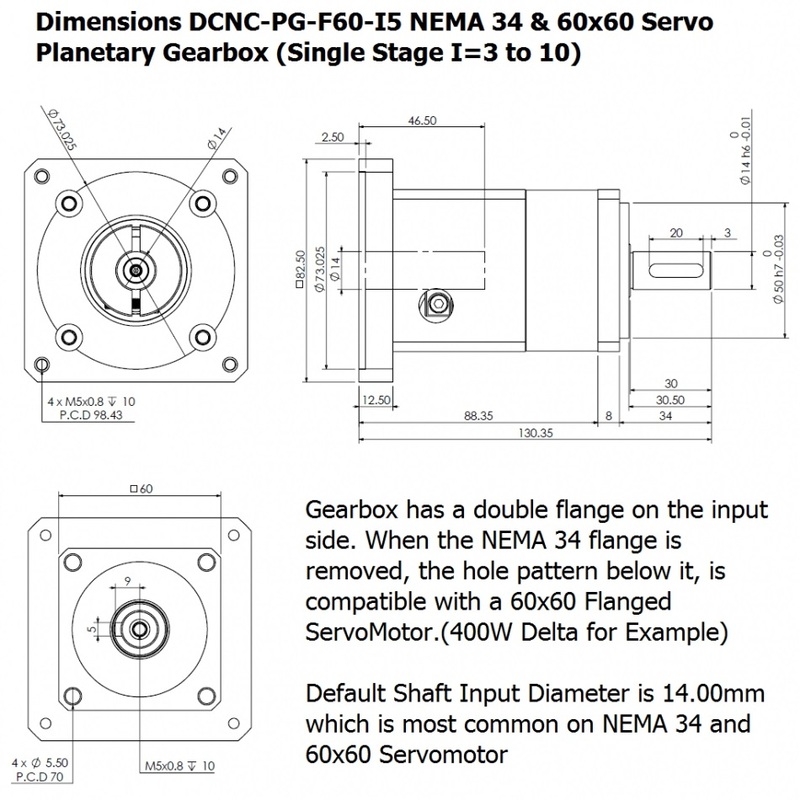 DCNC-PG-F60S14-F60N34B14-I10 1:10 NEMA 34 & 60x60Servo Planetary Gearbox | DamenCNC B.V.
Planetary Gearbox that is produced especially for DamenCNC. The output flange has the standard dimensions of a 60x60 Servo Motor, also the 14.00mm shaft is the same. This makes it compatible with any mechanical component that has the 60x60 Flange. 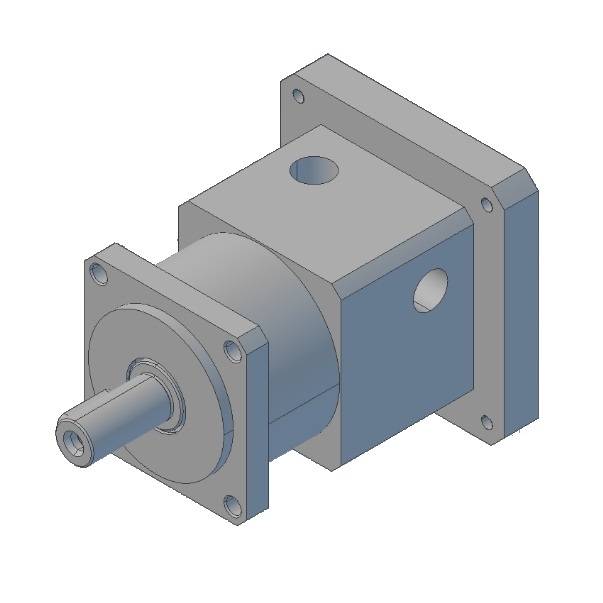 The input shaft has a 14.00mm bore which makes it compatible with most NEMA 34 Steppermotors or 60x60ServoMotor. The gearbox has a NEMA 34 flange. But this flange can be removed. When you remove the flange, the bolt pattern that is uncovered, is suitable for mounting a 60x60 ServoMotor. (Delta 400W for Example). We have made the design in this way, so we can keep a lot of stock of these motors. Our most often sold steppermotors are NEMA 34 and Servo is the 400W 60x60 Servo from Delta.